Athlete Paula Radcliffe and husband Gary Lough introduce their second child and first son Raphael, 6 weeks, in a recent issue of Hello! Magazine with daughter Isla, 3 1/2. Together they talk about their now family of four, parenthood and their baby boy’s dramatic birth on September 29th after 27 hours of labour at Monoco’s Princess Grace Hospital. Actress Jo Joyner and husband Neil Madden introduce their miracle twins — son Freddie and daughter Edie in this week’s OK! magazine while at home in the Cotswolds. 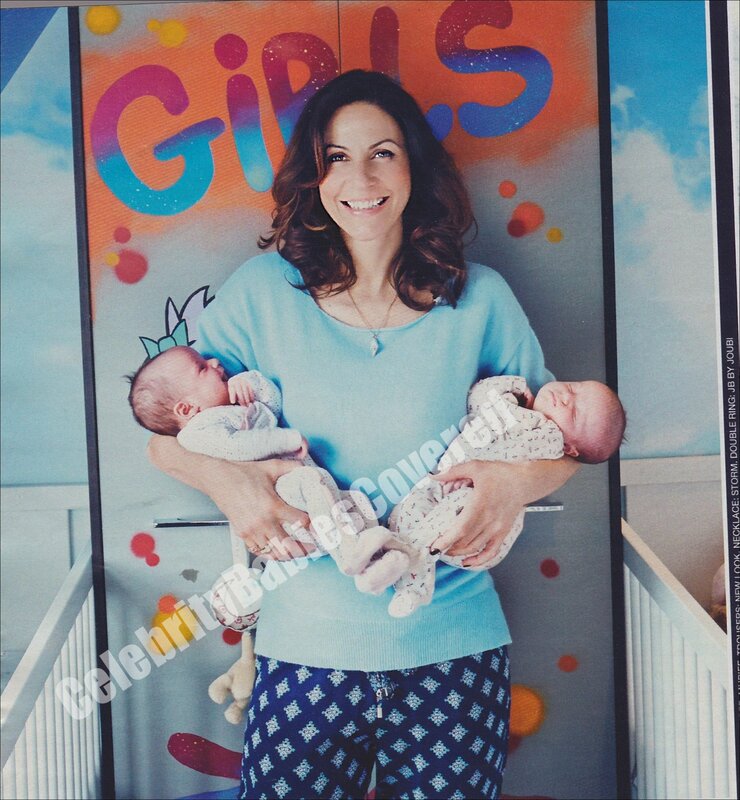 The new mum had to undergo a Caesarean section 6 weeks ago to give birth to 6lbs 11oz Freddie and 5lbs 11oz, Edie. This kid was born to travel …We’re already planning our first trip with him to Asia! 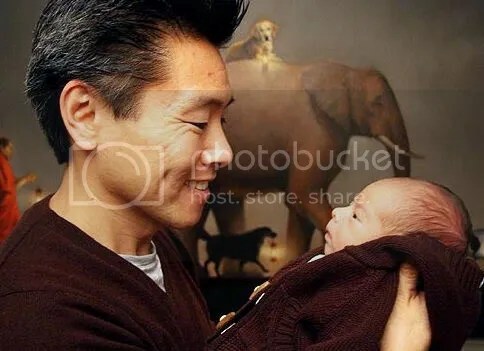 The 41-year-old also revealed that Gavin’s nursery has an Asian feel to it which celebrates worldwide cultures. The nursery is unlike any other nursery I’ve ever seen before and very reflective of us. Lots of things brought back from trips to the most remote corners of the world. We really want our son to grow up aware of different cultures. It’s based on a story that a monk in Bhutan told us during our journey there and features all four of our dogs. Ugly Betty actor Eric Mabius has released some lovely photos of himself and youngest son Rylan Jaxon, 8 months, along with several other ones with wife Ivy Sherman and eldest son Maxfield Eliott, 3, at their Brooklyn home. Nick and Sarah Dempsey Introduce Son Thomas-Flynn in Hello!